Oregons red raspberries are known for their radiant red color and profound flavor. 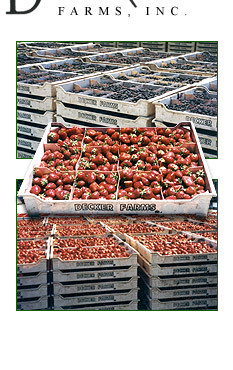 The Willamette and Meeker varieties are predominant among the commercial varieties grown in Oregon where a majority of the crop is processed as individually quick frozen raspberries, frozen raspberry puree, or frozen raspberry juice concentrate. Other processing methods include canning, drying, processed bakery fruit fillings and essence, as well as aseptic packaging.